How well do you know your body? The "here's how" and "what's what" of your vocal instrument-your entire body, not just the larynx-are contained succinctly, clearly, and simply in this practical new book. 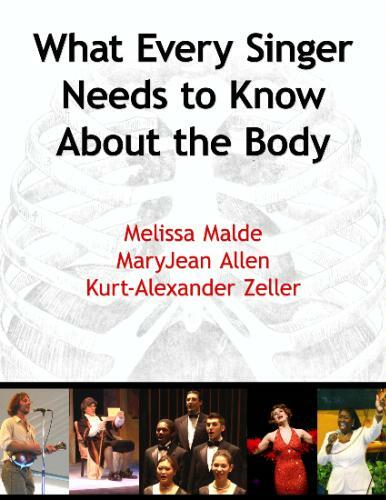 What Every Singer Needs to Know about the Body gives singers and their teachers a Body Mapping resource-from anatomy and physiology to body awareness-that helps them discover and correct misconceptions about the way their bodies are built and the way they function. In doing so, it provides maps with detailed descriptions of the structures and movement used in breathing, phonation, resonance, articulation, and gesture-illuminated with numerous illustrations and supported by many exploratory exercises. Because the structures and movements inherent in the vocal instrument are the same for every singer, they apply equally to every kind of singing. Differences in style result from differences in the choice of movement. Understanding and mapping the structures and movements used in singing provides the technical foundation for all singers. The purpose of this book is to provide singers with that foundation. This book does not espouse a single method or attempt to teach singing techniques. Rather, it describes the movements of singing with accuracy and detail, so that singers may experiment on their own and communicate with each other more effectively.